However, help may be on the way! The BC government has now released the 135-page report written by environmental lawyer Mark Haddock, as part of an independent review of the professional reliance model. The report’s 121 recommendations, if implemented, will help to correct an imbalance in BC’s environmental laws that started about 15 years ago. In general, we join other environmental organizations in calling for the full implementation of Haddock’s recommendations. Perhaps tellingly, industry is already attacking the report. British Columbians concerned about strong environmental laws need to let the BC government know that we expect to see these recommendations implemented. We look at several fully-realized recommendations that will increase oversight of professionals and protect the environment. We then highlight several recommendations which are laudable in their goals, but where more work is required to develop the details. We will need to watch how government tackles these recommendations in the coming months and years. Finally, we note a handful of problems with regulatory outsourcing that are not adequately addressed in the report, where we think much more work needs to be done. Last December I wrote about Randy Saugstad, who was told by staff at the Ministry of Forests, Lands and Natural Resource Operations that they could do nothing to prevent logging that ultimately harmed his water supply. 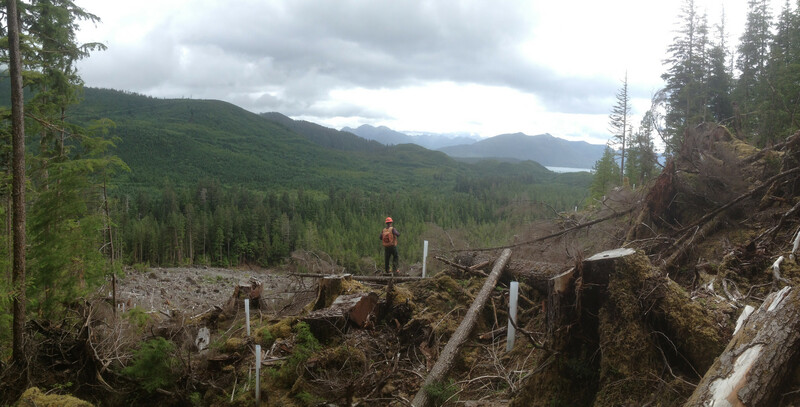 Under BC’s Forest and Range Practices Act government officials have extremely limited powers over logging companies – even if they know that proposed logging will harm others or the environment. Allowing government to reject logging plans that are unlikely to meet government objectives, do not contain enough information or which threaten the environment or the rights of First Nations and other rights holders (including Randy’s water rights) (Recommendation #87). Incredibly, the Forest and Range Practices Act currently leaves it up to foresters and the logging companies themselves to decide if and when to protect the rights of others. The Council of Forest Industries seems to have gone ballistic on these and similar recommendations, accusing Haddock of “drifting well beyond his terms of reference” and recommending “unjustified changes to the forestry regulatory regime.” It appears that the industry likes the lack of public oversight of BC’s forests that it has benefited from for the past decade and a half. A number of Haddock’s recommendations would improve oversight and accountability of professional associations – the bodies charged with regulating engineers, biologists, foresters and other professionals. Chief among the recommendations (Recommendation #1) is to create an independent “Office of Professional Regulation and Oversight” to oversee the professional bodies that regulate professionals. This Office would have broad powers to investigate and set rules for the different professional associations. Separate from this office, Haddock recommends an independent body to monitor and audit resource management in the province, similar to the province’s Forest Practices Board, but with a mandate to examine other types of resource use. The focus of this body would be less on professional regulation and more on ensuring that public resources are being appropriately managed and the environment is protected. Protection for professionals who report unprofessional or negligent behaviour by other professionals. Haddock has a series of recommendations related to empowering communities, and especially Indigenous governments. First and foremost, he calls for a modernization of land use planning. Professional reliance in BC often requires professionals to develop plans to achieve “government objectives” which have been set through land use planning. However, currently many of those objectives are weak and unenforceable. A land use vision should be developed that incorporates Aboriginal rights and interests more proactively in order to inform resource development, rather than the current system that is often reactive to the applications placed before statutory decision-makers. Haddock also recommends more opportunities for non-Indigenous communities to engage in land use planning, operations planning and monitoring of industrial activity, as well as expanded rights for members of the public to appeal to bodies like the Environmental Appeal Board regarding decisions that affect them. All of these recommendations are welcome. Professional reliance is used in dozens of statutes and regulations, and Haddock’s review could not cover everything. So there are a number of issues where he has flagged a problem, but not given a complete recommendation on how to resolve it. If the new Office of Professional Regulation and Oversight is created, hopefully that office will take a lead role in answering some of these questions. Professional reliance is based on the theory that professionals can ensure resource development meets the standards established by government. Unfortunately, in many cases BC’s standards are vague or open to interpretation. In the forestry context, for example, key government objectives only require the protection of water or wildlife to an extent that does not “unduly restrict the supply of timber” – subjective language that invites a logging company and their forester to determine the appropriate “balance” between clean water and their planned logging. In addition, statements like “without unduly reducing the supply of timber from British Columbia’s forests” is a very subjective “default” term that significantly lowers the threshold protecting our biodiversity. This ambiguity has contributed to a degradation of biodiversity and ultimately, a reduced ability for professionals to meet the spirit and intent of the legislation. Haddock does not explicitly call for a review of whether the government objectives that have been set do enough to protect human health and the environment. We certainly hope that any review of the standards examines protection of those broader values. As we have written previously, the right to an unbiased decision-maker is one of the basic requirements of administrative (and in some cases constitutional) law. But a professional selected and hired by an industrial proponent is – at least in terms of the legal understanding of the term – not unbiased. Haddock recognizes (with Recommendation #14) that there may be some circumstances in which the role of the professional in environmental and public health law is so significant that it may not be appropriate to allow the regulated industrial actor (the proponent) to select them. • There is merit in exploring alternative approaches, and in drawing from other fields and jurisdictions, particularly with respect to consultation with Indigenous governments and communities. • It is worth considering alternatives to the “proponent choice” model currently in place, with regards to who retains the expert and the terms of the retainer agreement. In our view, this question of whether professionals are selected by and ultimately accountable to a private company or to the public (as represented by the government) is fundamental. The way that the government answers these key questions – particularly where there remains a high level of professional discretion or if government capacity remains low – will help determine how credible and protective BC’s environmental and public health laws are. Advocates of professional reliance are fond of pointing out that we rely upon doctors to advise us on our health and engineers to design bridges, so why should we not rely on foresters to manage forests and engineers to build mines? One major difference between these two scenarios is that a negligent doctor or bridge engineer is likely to be liable to their clients or specific individuals (ie. people on the bridge when it collapses). This is often not the case for foresters or mine engineers if they harm fish or wildlife habitat. These environmental values belong to the public at large, and unless the government chooses to sue the professionals (which is very rare), the professionals can mess up or, even worse, err on the side of their employer’s interests with impunity. Haddock asks the government to consider whether professionals should be required to have liability insurance (Recommendation #19) and/or whether they should be liable if they cause harm (Recommendation #20), but the report has only a brief discussion of these two important points. Professional reliance also assumes that there will be consequences for violating the law (Haddock notes that it has been “portrayed as a ‘pillar’ of professional reliance.”) Unfortunately, in recent years BC has had a very low level of enforcement activity against industrial players. BC’s Ombudsperson has emphasized that non-compliance by professionals charged with protecting fish habitat is one of the major problems with the province’s professional reliance-based Riparian Areas Regulation. In his specific, but brief, discussion of compliance and enforcement, Haddock suggests that “Compliance and Enforcement may warrant a separate review.” He recommends that enforcement capacity issues be addressed, and that more efficient approaches to enforcement might be “considered”, but key questions are largely left for a possible future review. Despite the amount of work that has gone into Haddock’s review, there are a number of key issues that in our view Haddock’s report addresses inadequately. If his recommendations are fully implemented, it may be that the issues we list here become less of a problem. Inherent conflict of interest – While Haddock does provide some recommendations related to conflict of interest, he never really grapples with the inherent conflict involved in a privately hired and paid professional carrying out a public function. Consequently, it is not entirely clear what is meant by his recommendations related to avoiding conflicts of interest. If being hired by a regulated industrial actor does not create a conflict of interest, then what does Haddock feel amounts to a ”conflict of interest”? Public rights when professionals are involved – By transferring government decisions to private professionals, professional reliance often removes the rights of the public to (a) receive notice of decisions that affect them; (b) be heard about decisions that affect them; (c) request documents related to the decision; and (d) in some cases appeal or challenge decisions that affect them. While Haddock’s recommendations would put more decisions back in the hands of government, what about those decisions that stay with private professionals? Integrated Pest Management Act – BC’s key law related to pesticide use is a clear example of “regulatory outsourcing,” in that it turns decisions about where and how to apply pesticides on Crown lands entirely over to the company that wishes to do so (with almost no government oversight). By characterising the review as about “professional reliance,” rather than regulatory outsourcing, this Act was arguably excluded from the scope of Mark’s review (since the IPMA does not require the use of professionals). However, the government desperately needs to examine this Act, which raises many of the same issues as those considered in Haddock’s review. Haddock’s review of professional reliance is a welcome and important report that, if implemented, will go some way to restoring public confidence in environmental laws and better protecting public health and the environment.